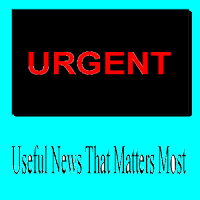 D.O.S Frantics: The Story Of Useful News Android Application Has Just Gone Viral! The Story Of Useful News Android Application Has Just Gone Viral! The reason why Useful News Android Application is useful because it allows users to view only certain topics. For example, if you're the type of person who only wants to see news about business. The Useful News App allows you to do that with ease. This goes for other topics like Science, Food, Technology and Finance. What ever the case maybe Useful News allow you to do that in one simple app. Oh, did I mention its also easy to use once you install the app on your mobile device............... See for yourself!